With his mysteriously evil grin, this spiked skeleton will send chills down your spine! Crafted from high-quality latex, this detailed skeleton mask features a full head construction that is lightweight and breathable. 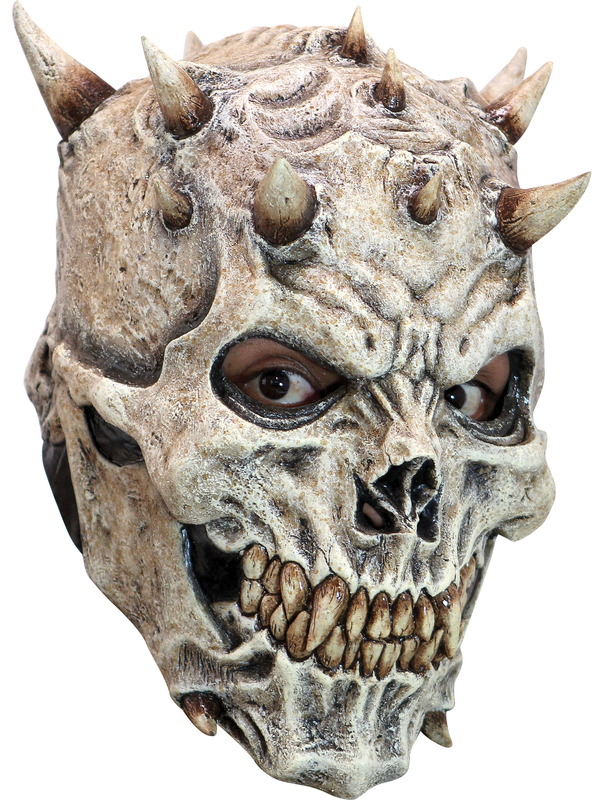 The mask is sculpted and painted to resemble a demon-like skeleton with spikes on the scalp and chin.